It can be isolating being a teacher. 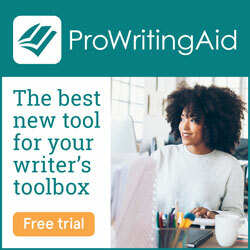 Maybe you’re the only one teaching Romeo & Juliet in your building, or maybe you really want to change this year’s spring novel and you have no one to turn to for fresh ideas. 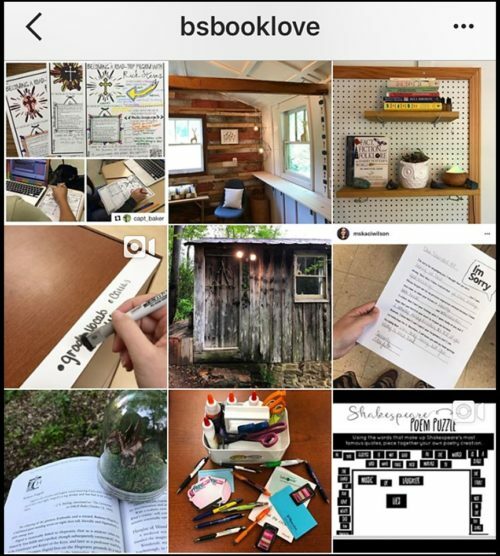 Whether you’re looking for classroom management strategies, decorating ideas, book recommendations, or a community that celebrates #feetupFriday, Instagram is a great place to go to connect with amazing teachers. 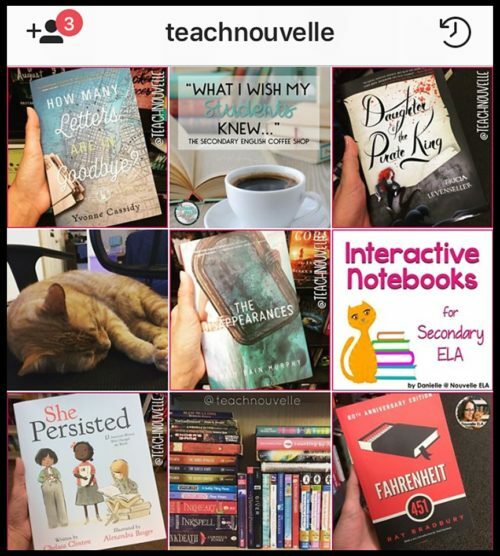 Here are 11 amazing secondary ELA Instagram accounts you don’t want to miss! 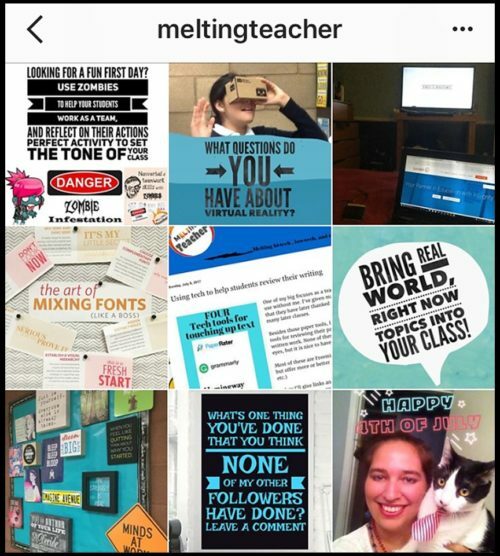 I’ve been on Instagram for two years now, and it has changed my perspective on teaching. Finally, I can get a glimpse of other people’s classrooms, and we can share our successes and failures (without falling prey to the temptation to gossip about colleagues or admin). 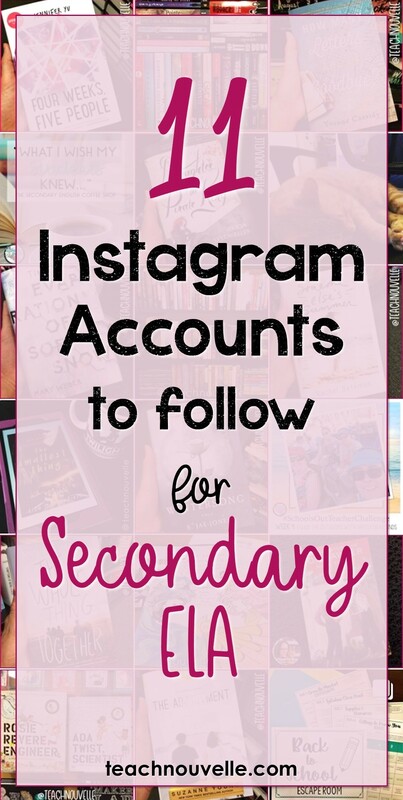 This is definitely not an exhaustive list of secondary ELA Instagram accounts I love, but these are people I look to for inspiration, encouragement, and humor to get me through. When I’m looking to see what fantastic teachers are doing in their classrooms, these are some accounts I visit. This is one of my go-to IGers when I’m looking for book reviews for middle school. 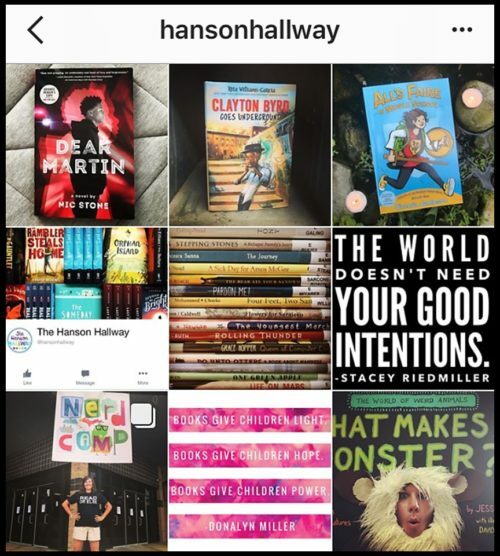 Christina’s class read a BOOK A DAY last year, and it was awesome to follow her journey on IG. She also has a bathtub in her room where kids can sit to read, so that’s amazing. She does a great job of posting concise, effective book reviews to help you make choices for your classroom library. This colorful feed always cheers me up! The Townie Teacher is full of humor & energy, and I’m pretty crazy about her use of puppy pics to convey emotions. Her students did a great job on their Romeo & Juliet journal projects last year, and I’m totally psyched to add this to my own unit. 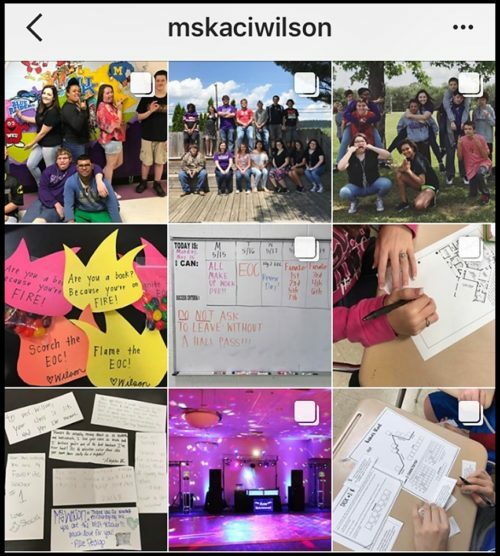 Sandy is a longtime IG friend of mine, and I love seeing her classroom snapshots. Not only does she have a BEAUTIFUL room she painted last year, she’s made it her mission to capture her 8th graders reading in the wild. 😉 She also does great book reviews, and reminds me constantly to treasure my teacher friends. Krisanna is a constant source of inspiration, from her colorful classroom to her engaging quotes. I can always count on her posts to give me a good laugh, and her organization is definitely #lifegoals. I’ve also had the pleasure of exchanging some feedback with her on resources for our own classrooms. She’s a sure pick for a bright addition to your day. 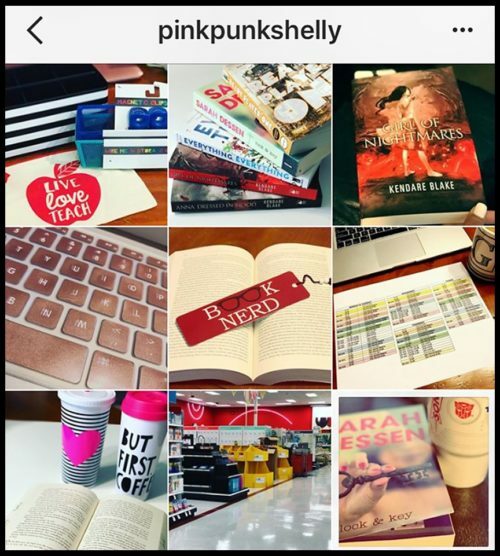 Shelly is a bookstagrammer, teacher, NERD, and foodie, and I wuv her posts. 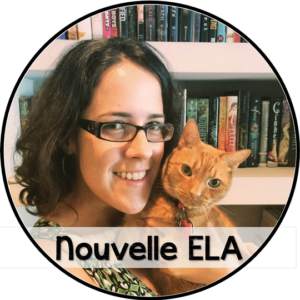 She has amazing recommendations for the classroom library, as well as books for teachers, too. 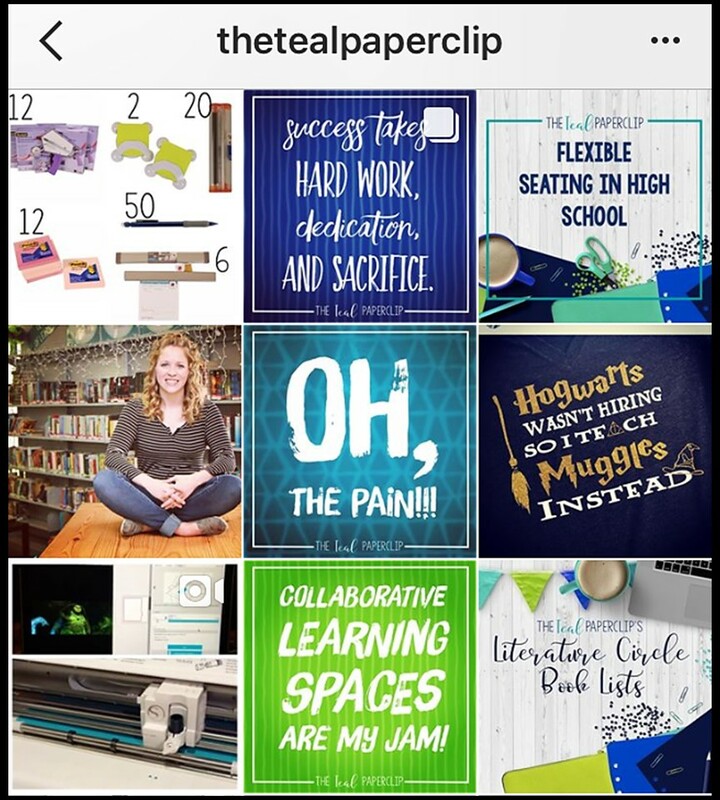 She just started a new IG to focus on her classroom stuff @pink_punk_classroom, so be sure to tune in as she builds that feed. I’m just gonna come out and say it, y’all. I have a big ol’ Teacher Crush on Ashley! She’s the teacher I want to be, fully embracing her nerdiness and love of lit with Harry Potter classroom decorations, punny student gifts, and Literary Yoga. She lives in a little cabin in the woods, and her workshop is called Hagrid’s Hut. Ashley, her husband, and their dog Hank are on a teaching sabbatical this year, and you can follow their adventures @teachertravelsabbatical. Carissa is a another longtime IG friend of mine, and I love her constant sense of humor and commitment to her community. Her IG is a great place for discussions about the classroom, and she’s also an active participant in the #2ndaryELA Facebook group. Also, her cat is amaaazing. Lastly, please welcome Kaci to the field! Kaci just finished her first year of teaching, and it looks like she ROCKED it! 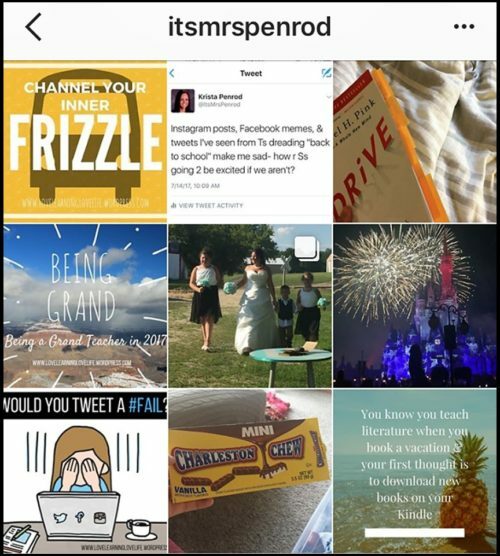 She shares snapshots of activities, organizational ideas, and general nerdiness. Her posts are full of optimism and energy, and I love spotting them in my feed. Follow her right now, folks! She’s a rockstar! Look, friends, I get it: sometimes, you need to leave school at school and come home and decompress. I totally relate. However, it can be so tempting to get caught up in our own little school worlds and never take a look at what other REAL teachers are doing in their classrooms. 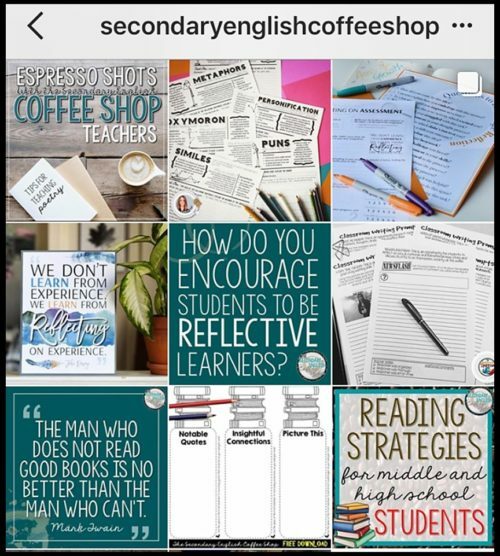 Building your secondary ELA community on IG is a great way to make sure you’re getting daily doses of optimism about education, students, and the stuff you love. 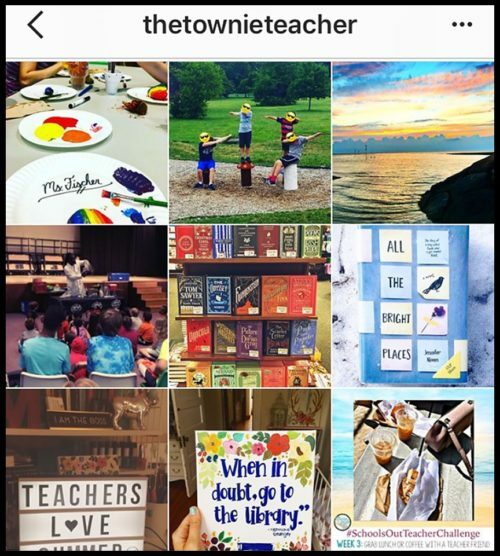 Instagram can be a great way to recharge and make sure you’re feeling energized about being a teacher. The people above help me recharge.